Florida breathalyzer machines are coming under fire yet again. However, as Fort Lauderdale DUI defense lawyers understand, this one has more to do with the state’s responsibility to test the devices, as opposed to the inherent accuracy or inaccuracy of the devices themselves. (Both are major legal issues). 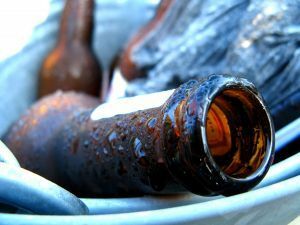 If successful, this challenge could lay the ground work for thousands of DUI cases across the state to be scrapped entirely. To understand the challenge, we first have to explain the device. In the state of Florida, there is only one device that is approved by state officials for use by local law enforcement agencies for DUI breath testing. This is the Intoxilyzer 8000. State and local authorities insist on its reliability, even though it has proven in countless individual cases to have spit out inaccurate results – not just in Florida, but across the country. Still, it continues to be used. But as with any machine, it has the potential to fail. In order to bolster their cases with claims of accuracy, state officials require that the devices be regularly tested and calibrated, to ensure each Intoxilyzer device is in proper working order. This is where one Florida attorney, representing some 185 DUI defendants, is making his point. In a petition filed late last month with an administrative court in Tallahassee, the Florida Department of Law Enforcement is accused of skirting its own rules for testing the device. In particular, it’s alleged one of the key sensors was not appropriately tested by the agency. Further, it’s alleged that the FDLE never sought re-approval of the device after the Kentucky-based manufacturer made a number of significant changes to the product design. Back in 2002, federal regulators approved about 16 changes to the devices. One of those included drilling a hole into one of the primary valves that is responsible for sensory detection of alcohol. This challenge doesn’t touch on whether the subsequent results are true or not. Instead, the issue is that after those changes were approved by the federal government, state regulators failed to re-approve it for their own purposes – despite rules saying that such steps must be taken. This could be damning for the FDLE, and subsequently a host of local prosecutors, because if the state can’t show that it did in fact conduct proper testing, it will have to admit that it bypassed its own rules and procedures or that those rules and procedures are somehow unimportant. Either way, it doesn’t look good for them, and such a revelation may prompt judges across the state to toss breathalyzer results in pending DUI cases. For a lot of defendants, breathalyzers represent an important piece of evidence against them. While prosecutors could still theoretically press forward based on more subjective evidence (i.e., officer observations or field sobriety tests), the case would be substantially weakened, sometimes fatally so. The FDLE reported that in 2011, police throughout the state tested some 41,000 people with the Intoxilyzer 8000 device. This includes both motorists and those operating marine vessels. Police agencies say that officers at individual departments run their own calibration on the devices both before and after each use. Additionally, they say, the FDLE conducts an annual inspection of the devices. Still, if the court finds the state didn’t follow proper protocol with regard to testing, it would open a window of opportunity for DUI defense lawyers across the state. If you’ve been arrested for DUI, call Fort Lauderdale Criminal Defense Attorney Richard Ansara at (954) 761-4011. The Ansara Law Firm serves Broward, Dade and Palm Beach counties.